4-Word Review: Haunted by dead brother. Michael (Richard Alfieri) is a young artist who is plagued by reoccurring dreams dealing with a menacing man out to get him. He goes to a psychic and learns that this is actually his dead twin brother who died at birth and is now reaching out in attempt to possess him. This is a unique idea that is reminiscent of the later film (and book) The Dark Half and is some ways more intriguing. Unfortunately instead of approaching it like a thriller, occult, sci-fi, or mystery it instead treats it like a social drama(!?!). The majority of the film is spent on how his obsession with these dreams affects his relationship with his girlfriend, job, and other friends. There is no suspense or chills whatsoever. The ‘visions’ are unremarkable and non-distinctive. The music is too loud and way too heavy for what ends up being very dramatically trite stuff. The climax is hooky and laughable and there is never any explanation for why this happened or how. There are also a lot of dramatic lulls that really hurt the film’s momentum. The whole first half hour is spent on his budding relationship with his girlfriend Christine (Nathalie Nell) before it even gets to the story and the way they get together is quite stodgy to begin with. By and large the characters and dialogue are bland even the menacing spirit of the dead brother is sterile. Star Alfieri, who also co-wrote the screenplay, just doesn’t have a strong enough presence to really carry a picture. He also has one of those annoyingly pouty pretty boy looks. Co-star Nell helps add a little contrast by having a French accent and some very practical sensibilities. 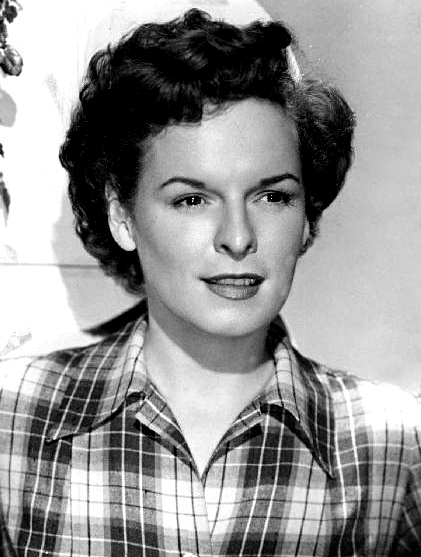 Gale Sondegard, Ruth Roman, and Mercedes McCambridge whose picture you see at the top of this post and is probably best known as the voice of the demon in The Exorcist give the film some distinction and are fun to watch even if they are given little to do. This was for all three their final film appearance. Mike Kellin has a great part as a terse art teacher who has a rather intense confrontation with student Alfieri during one of his classes that is pretty good and ends up being the film’s best moment. You also get a chance to see a John “West Wing” Spencer. He is much younger here with more hair and a mustache and you might only recognize him through his voice. Overall the movie is ineffective. The direction is competent enough to make it watchable, but there’s no excitement or thrills. With such an interesting idea it could have been and should have been a lot better.